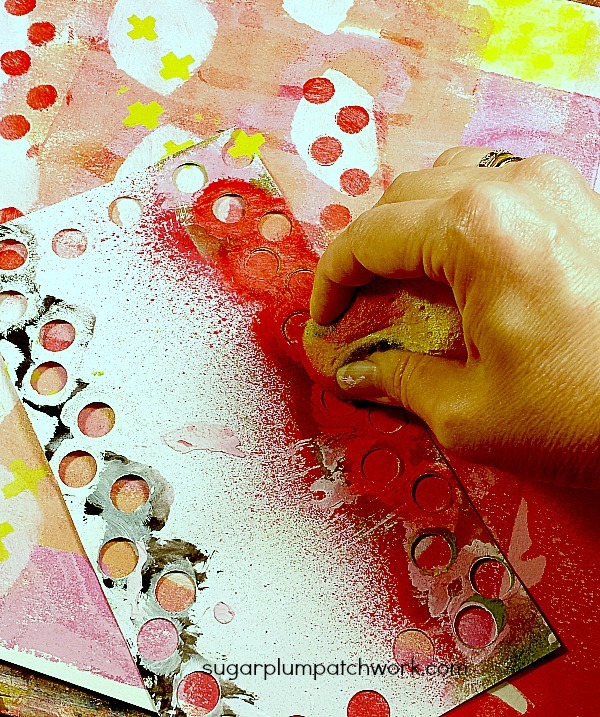 Sometimes there is nothing more fun (and therapeutic) than some mixed media art journaling playtime in the studio! So when I got the chance earlier this week I took advantage of a day for free play. 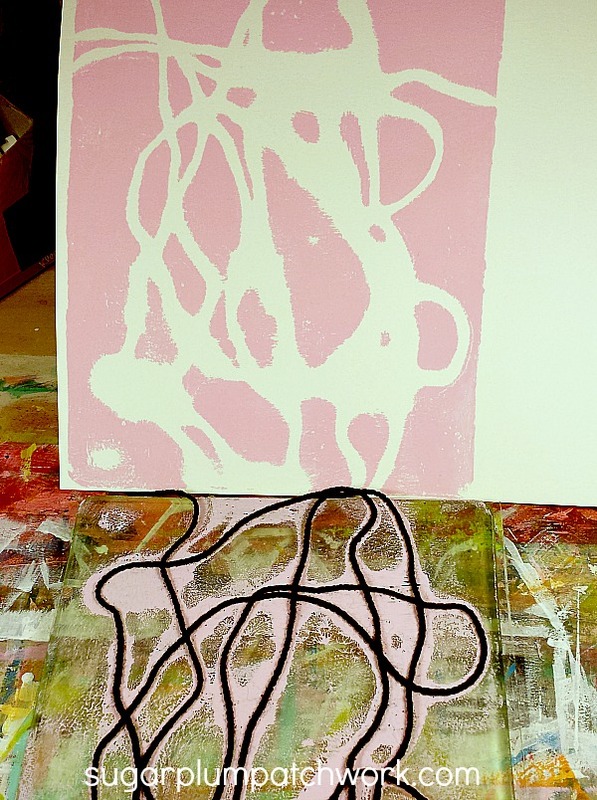 I started by pulling out my Gelli Arts printing plate and loaded it up with pastel pink acrylic. Then I layed some yarn down on top of the paint and pulled the first print. In this pic above you can see the print at the top and the gelli plate with the yarn and residual paint in the bottom half of the pic. Following a few more prints to cover the paper and create some layers, I added some stenciling with more acrylic paint. After adding some watercolor, colored pencils, stabilo pencil and paint pens I ended up with this. I made another page in the same manner with a different color scheme but I have had a thing for pink and red lately so this is my favorite. This is a larger piece of watercolor paper so I'm not sure what this will end up as. Maybe a journal cover, or background, or maybe for cards. Oh - And it passed inspection as you can see below . . . 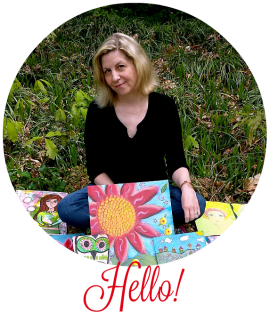 I hope you got a chance for some fun and messy art play this week. 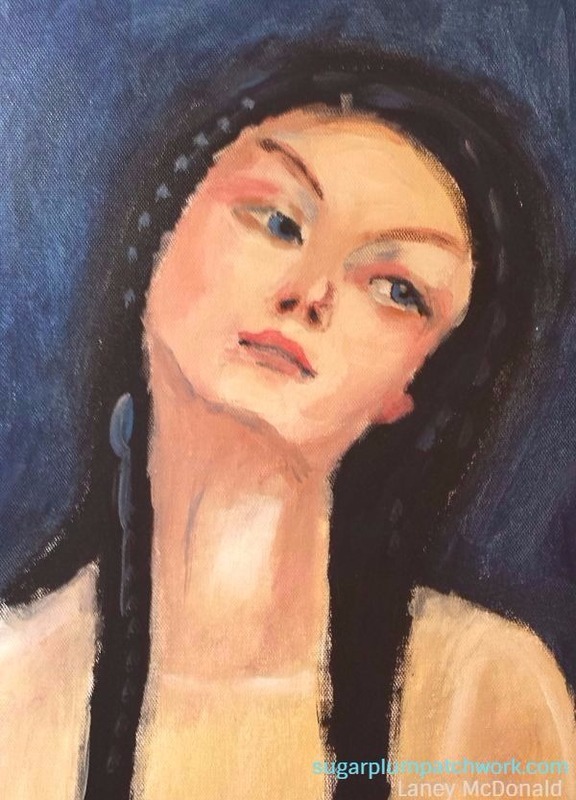 What a wonderful technique to use yarn on painting. You made a beautiful mixed media art. Love the fresh colours and fabulous texture. Oh you had some great play. I love what you did with the yarn, and the cat-approved piece is marvellous with the colours and patterns. I love the art you created, it's so fun to just play sometimes. Thanks for the reminder that at times we just need to play & stop over thinking! Easier said than done, right? So inspiring... I needed this post today!! Thank you it's gorgeous!! Love how the page turned out!! 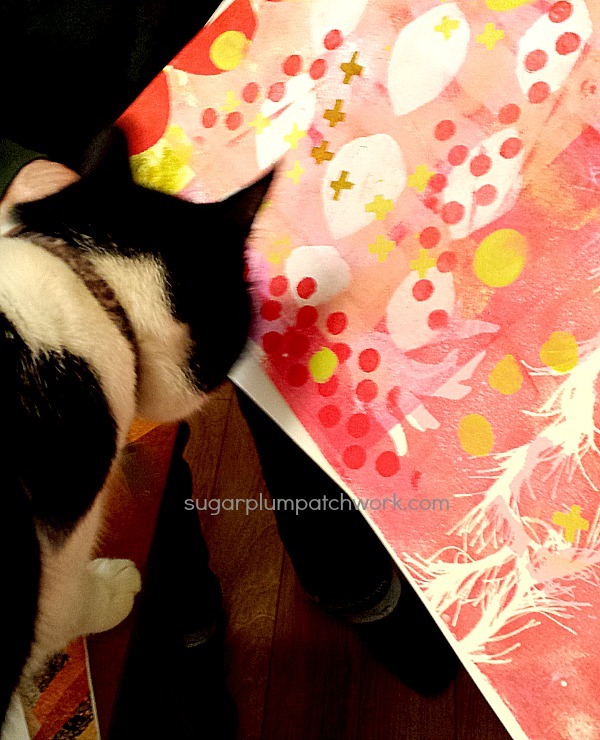 I love the pink gelli print page...as much as your kitty does too. I've been doing gelli print pages on deli paper this week...for backgrounds. I love the gelli plate! I love a good play day even if I'm playing alone. 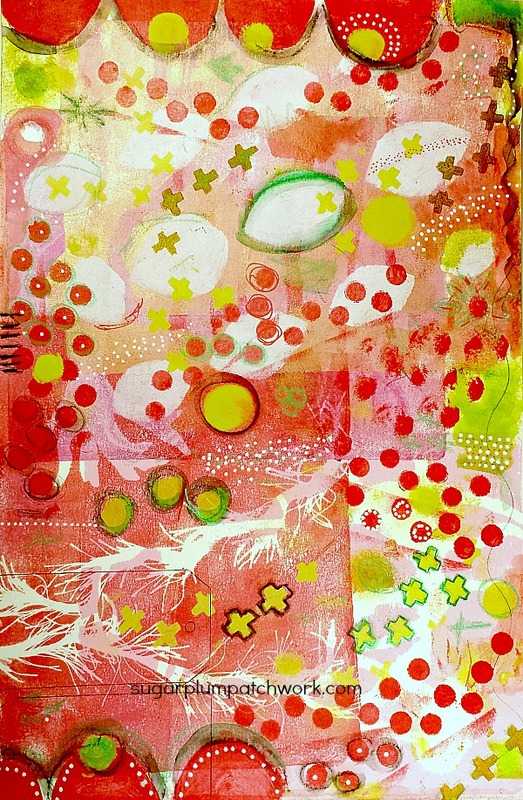 Love what you did with the Gelli prints and I'm sure you'll put it all to good use at some point. This is wonderful, Laney! And you are right, we could all use some therapy about now. Thanks for sharing your steps. What a fun piece of artwork! A day of art play is always the best day of the week!! Thanks for sharing and I'm so glad you were chosen for this week at PPF! Happy week! !